Images from Rania Matar's L'Enfant-Femme are currently on view at Carroll and Sons Gallery in Boston through October 26th. Photographing young women from the United States and Matar’s native Lebanon, L'Enfant-Femme continues Matar's investigation into the psyche of the teenage girl, this time focusing on even younger women, girls on the cusp between childhood and their teenage years. Matar's previous series, A Girl and Her Room, was recently published by Umbrage Editions. See previous posts on Matar, including an interview and a review of A Girl and Her Room, here. 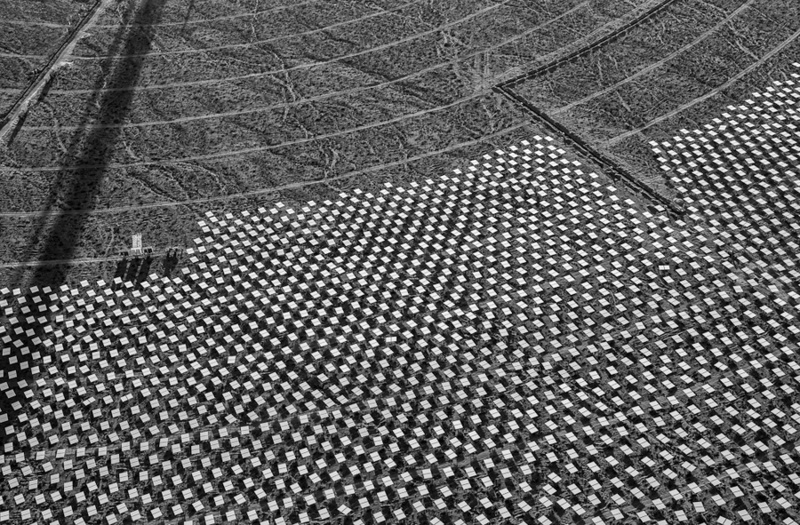 Jamey Stilling's Evolution of Ivanpah Solar project has recently been featured on the Time LightBox blog. The article written by Bryan Walsh, who has visited the massive solar installation, discusses both the beauty of the project and its environmental implications. Read the article here. Stillings commented on this new breathtaking project last fall. His remarks can be read here. Congratulations to Luigi Fieni and Claudio Cambon who have both had successes at recent photo festivals. Fieni's work was selected for the Voies-Off Photography Festival in Arles and Cambon was the winner of the grand prize at the Zoom Photo Festival Saguenay. And in more Nick Brandt news, an article on our current exhibition of his work at photo-eye Gallery has been published in the Santa Fe New Mexican's Pasatiempo. Focusing on Brandt's more than decade-long photography of elephants, the article discusses the harsh truths of poaching that threaten these creatures, giving a glimpse at the tragic reality behind Bradt's impressive photography. Read the article by Michael Abatemarco here. The current exhibition will be open through November. Nick Brandt discussed his new work with photo-eye Blog in November of 2011. Read the post here. View more of Nick Brandt's work online at photo-eye Gallery.